After almost 2 weeks of closure due to surface maintenance we are happy to announce that Mario Lanza Dog Run is back open as of 5pm today. Thanks for your patience as we waited out the bad weather and allowed the surface to harden properly. Stay tuned for information about park clean ups, the first Sunday of every month. 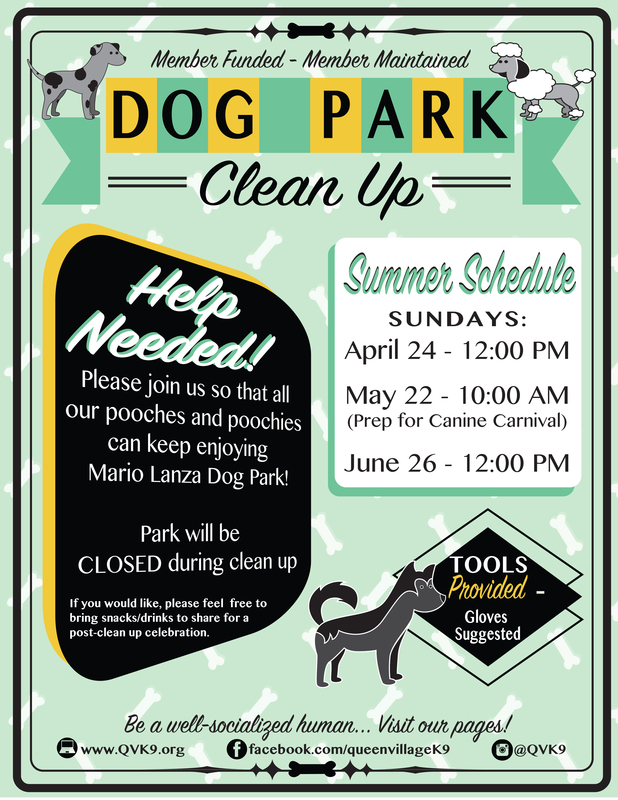 Please come out this Saturday from 9:00am-11:00am and help us keep our beloved dog park beautifully manicured! We will have some coffee and snacks (for humans) to enjoy and tools will be provided. The park will be closed to doggies while we are working in the dog park.